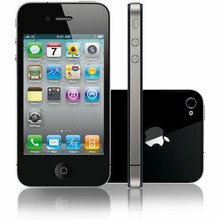 Sell your iPhone 4S 64GB with OnRecycle to make the most money – we'll compare all the major mobile recycling companies in just seconds to find you the best price. With OnRecycle's handy price comparison service, selling your 64GB iPhone 4S will be fast and fuss-free. In a matter of seconds, we'll bring you top 64GB iPhone 4S trade in prices from all the top phone recycling companies. We'll even show you their payment speed, method and any user reviews, too – time to tick "sell my 64GB iPhone 4S" off your list with confidence.